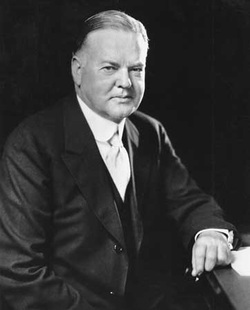 Herbert Hoover was the President of the United States from 1929 to 1933. During his time in office he saw rise of the great depression, his efforts to combat the economic downturn proved to be useless. Hoovervilles (shanty towns made by homeless people) formed as a result of the Great Depression. These towns were coined "Hoovervilles" because the people felt Herbert could have done more to stop this from happening. 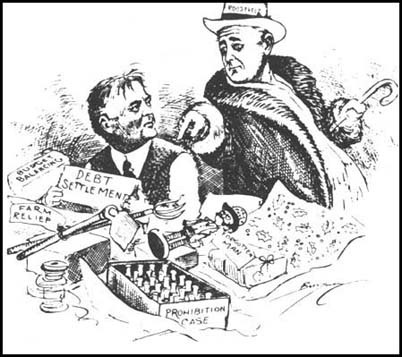 Promoted partnerships between government and business "economic modernization"
Largely blamed for the formation of shanty towns or "Hoovervilles"